This pavilion reminds me of our trip to South Korea. 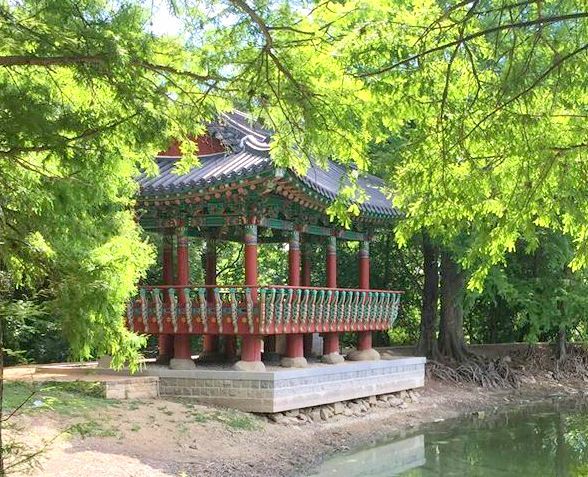 Well, this beautiful Korean work of art pavilion can be found in San Antonio, Texas. It's a hidden gem located in Denman Estate Park. 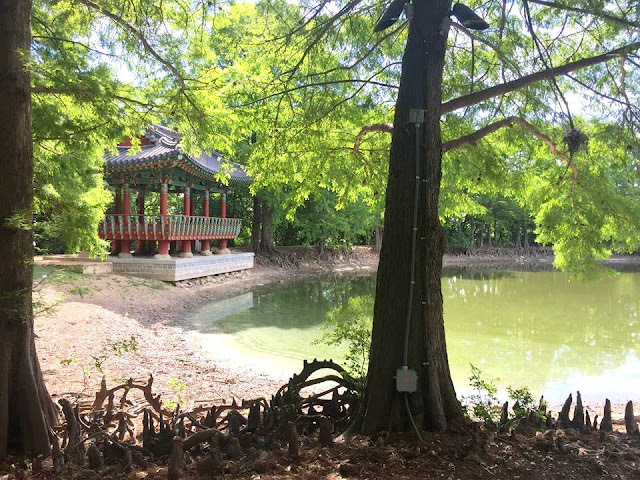 This was given to the San Antonio Community as an official sister-city gift from Gwangju, South Korea. 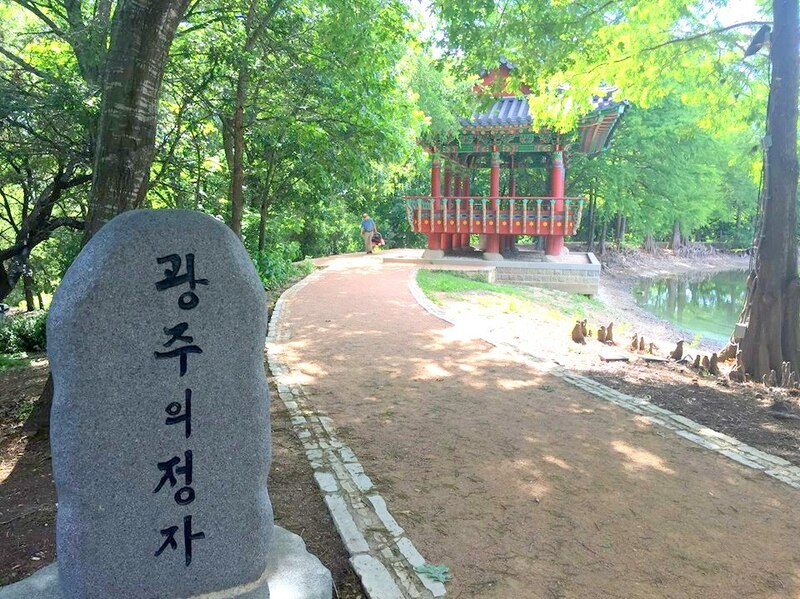 The pavilion serves as a watershed moment in the San Antonio-Gwangju relationship that was established in 1981. It's amazing to know that this $1.5 million pavilion was completed by a team of South Korean craftsmen with no nails were used in the construction, only bolts to secure the foundation. The place is very relaxing and peaceful. I like that fact that it's not crowded. The pavilion is free to visit and open to the public.